Columnist Janet Driscoll Miller discusses some of the top challenges SEOs are facing today and outlines why an SEO strategy has to be a living document that changes based on search trends and algorithm updates. Like any marketing channel, SEO is an investment. Whether you’re using in-house resources or hiring an agency to do the work, SEO isn’t free. To make the most of your SEO time (and perhaps direct financial) investment, it’s helpful to have an SEO strategy established to be your road map for execution. However, one of the bigger challenges to creating an SEO strategy is that the search engines (primarily Google) are shifting ranking factors and introducing new updates fairly regularly. Therefore, an SEO strategy has to be a living document, allowing for regular modifications as search engine requirements change. Those strategy or tactic changes then need to be communicated with the appropriate team members. SEO involves multiple departments and disciplines across an organization — it’s larger than just the marketing department. For instance, nearly four years ago, Google indicated that links in press releases should be nofollow. In cases like that, the SEO manager would need to communicate that change to the public relations team to ensure that they are aware of how to treat links in their press releases. Even as an agency owner, staying abreast of changes can be tough. At Marketing Mojo, I hold a news briefing for 15 minutes every morning to update the staff on all of the changes in the past 24 hours for all of the platforms we work with. And I have enough news to share every day. There’s no shortage of it! And if you’re handling multiple marketing responsibilities, such as email marketing, advertising and more, it can be tough to stay up to date on all of the different channels you’re working with. And it’s no surprise that resources to execute the SEO are also challenging to come by. With SEO touching so many aspects of an organization’s marketing-related activities, it literally takes a village to execute on all of the SEO efforts that need to occur around the company. 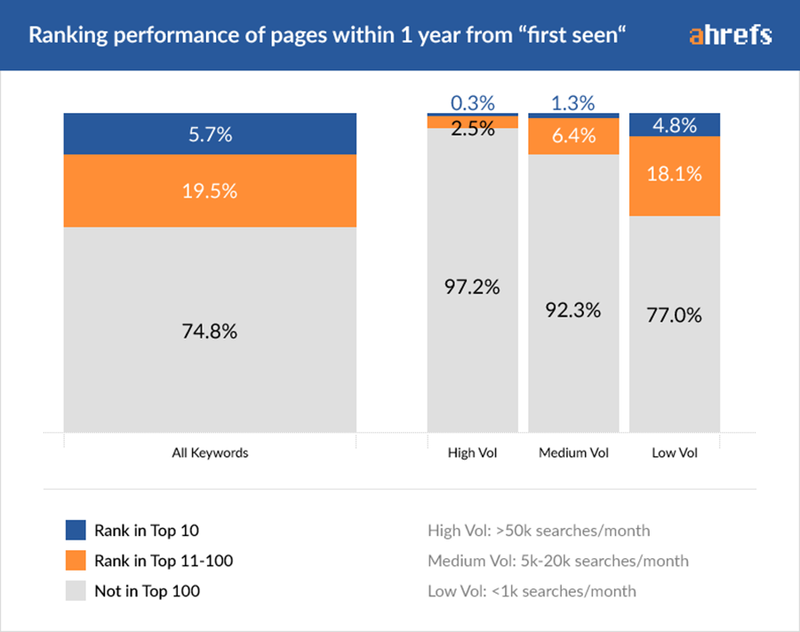 Also daunting, however, are managing expectations (40 percent) and showing value for SEO (38 percent), which brings us back to the ROI conversation. SEO takes time, but not every CEO has the background understanding or patience to wait for results. Hopefully, these two resources can help you to set reasonable expectations with management. Often, marketers may not have access to certain platforms, such as CRM systems, accounting systems and more, that often house transactional and revenue data. Without access to revenue data, marketers are challenged to demonstrate a channel’s business value. Further, without demonstrating measurable ROI, how can an SEO make the business case for additional resources to execute all of the SEO tactics? It’s really a catch-22. When it comes to measuring ROI for SEO, I generally recommend the “crawl before you walk” approach. Don’t try to do it all overnight, but go as far as you can with measurement. I created a downloadable ROI workbook in Excel that will help you auto calculate your ROI for any channel. If you can’t fill in all of the columns now, it’s OK! Just go as far as you can to the right of the workbook. The more data you can fill in, the closer you will get to measuring your true SEO ROI and value. And in the meantime, you can see what data you’re missing — and you can ask for that specific data from its owner. I was surprised to learn that 33 percent have never reviewed their SEO strategy. Given the rapid pace of change in organic search, I certainly wouldn’t have expected such a high percentage. But it’s easy to feel lost when you’re lacking resources or don’t have confidence in your measurements. How can you have an effective strategy if you can’t measure the outcome of your efforts? While you’re creating your SEO strategy and updating it regularly, make sure that you also are auditing your analytics and tracking regularly. Be sure to educate your team about documentation and using features like Google Analytics’ annotations, so that when changes are made to the tracking, you can see why certain anomalies may exist in your dataset. Also consider how you currently track your marketing channels. If you’re a B2B, for instance, and use a CRM tool, are you tracking the lead source of organic search? How often does the lead source field update? Consider your attribution method. Once you have thorough tracking in place and have confidence in your data, forming, an effective strategy (and tactics to support that strategy) will be easier to measure as you regularly adapt the strategy to the meet the changing requirements of the search engines.